I've labelled this post as Occult London in the sense of something secret and hidden rather than something arcane - although the Barbers' Physic Garden does seem a magical and enchanting place. 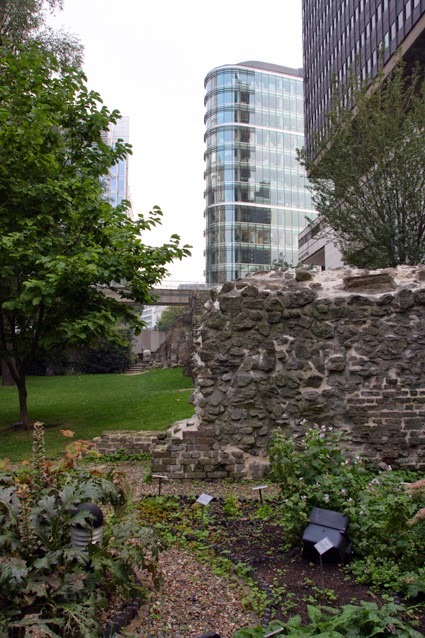 The little-known garden is tucked away and sheltered in the ruins of one of the bastions of the old London Wall, under the tower blocks and elevated walkways of The Barbican, not far from the Museum of London. 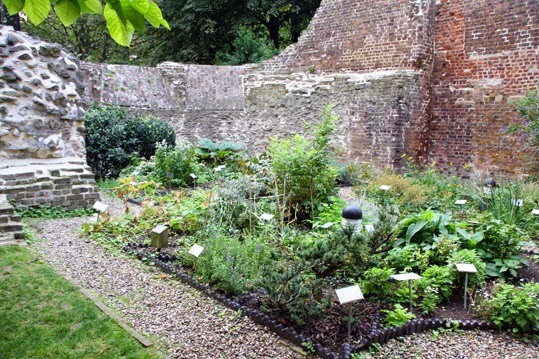 Full of plants related to medicine and surgery, it is one of the oldest physic gardens in London and is attached to the Worshipful Company of Barbers. No one even knows exactly when it was first planted, although records show it was being weeded and swept in 1555. In 1666, when the Great Fire of London destroyed much of the capital, the open space of the garden prevented the flames from reaching the anatomical theatre on the site. It later fell into disuse, but was replanted in the 20th century. "The current Physic Garden is on the site of the 13th bastion of the 21 bastions built by Emperor Hadrian in AD 122. It was constructed on a derelict bomb site in 1987, on the initiative of Past-Master Sir Francis Avery Jones, by the Parks and Garden Department of the Corporation of London, who manage the Garden, together with the Company’s Honorary Curator. The design of the garden aims to present a broad view of the way in which plants have been used, from the earliest times to the present day, in relation to both the practice of medicine and surgery and to the use of plants in domestic and civic environments." The The Barbers' Physic Garden is free to visit and is a lovely, peaceful spot to sit and enjoy a rest from the bustle of the city. If you are in the area, why not have a look while the autumn weather is still mild and many of the plants are still flowering? Its great, have you also visited Chelsea Physic Garden?? and did you see the house nearby which has 777 over the door? Yes I did photograph that - and the house with the strange roof that has a stairway to nowhere. Perhaps I should post those two photos up on my blog as well? 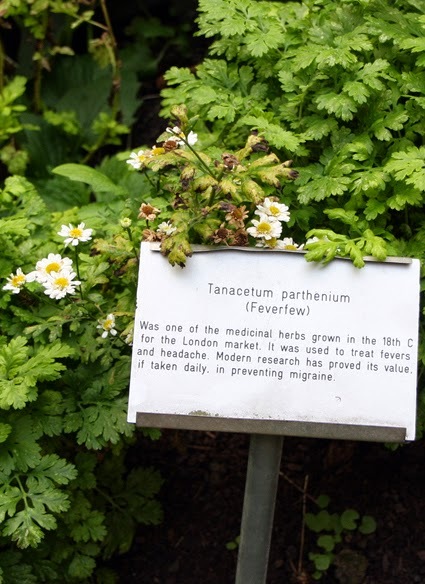 Herbqueen - I've actually not been to the Chelsea Physic Garden. I intend to. The Barbers' Physic Garden is free to get in, but you have to pay to get into the Chelsea one I think.